CED in its many years of experience via mission and vision as one of the more important goals has the development of society and the environment in which we are living. We as a CED’s management team, consider that for this development besides that we encourage citizens to undertake initiatives and activities, consider that it is of great importance jointly with decision makers, with state institutions, to make efforts through projects to come to development of the region. As development, we do not consider only economic but also development of the democratic capacities towards which our society is striving. Therefore, for a longer period together with local governments, especially in the Polog planning region, as an organization we have excellent cooperation in this field. In this sector of activity of the organization, for years we have many projects realized that are of great importance for citizens, in partnership with other NGOs and units of local government. As one of the largest projects, if not the largest and certainly the most important was creating a strategy on climate changes at the Municipality of Tearce. 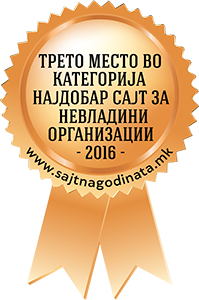 The whole project was managed by CED in cooperation with Milieukontakt Macedonia and Municipality of Tearce. During year 2013 within the project it was implemented the Green Agenda, a process in which values of the Municipality of Tearce were defined and later their trends and impacts of climate changes. It was organized over 50 meetings of the working groups consisted up of members and representatives of the institutions in the Municipality of Tearce, local environmental activists, decision makers, representatives of the local communities in villages and others. During the project is was conducted the urgent action to replace the old street bulbs with new energy efficient, at the level of entire municipality of Tearce. During the project, it was implemented urgent action to replace the old street lamps with new ones that are energy efficient, at the of the entire municipality of Tearce. The project continued with elaboration on the values and making of the strategy on climate changes. A final document was made, Strategy on climate changes of the Municipality of Tearce that became an official document of the Municipality through a voting in the Council of the Municipality of Tearce. From the Strategy emerged several actions in direction of prevention and adaptation to climate changes. Action for replacement a part of the water supply system in Tearce is the most priorities action highlighted by the working groups, and is in the phase of being prepared for realization. Inspired by the strategy on climate changes, and consequently on the establishing of the Council of Youth at Municipality of Tearce, CED with the help of UNDP undertook in making of youth strategy. Learning from the experience, we continued with a similar approach to creating a strategy, however this time not for climate changes, but the young people were the target group and those for whom the strategy is directed. We formed a working group consisting of different profiles of young people from municipality of Tearce who spent more than 10 joint working meetings where were discussed and later created strategic directions in which way will range the actions that will be youth development in Tearce. We worked on topics: Education, Youth Participation, Youth information, Sports, Culture and similar. We created a document with concrete projects and actions which was institutionally confirmed and became an official document of municipality of Tearce. The year 2013 in our work was marked also by the project for raising the capacities of committees for community relations, that are within the municipalities. CED in this project was an organization partner to Institute for Communities Development - Tetovo, which was conducted the project at the level of 30 municipalities that have a legal obligation to form a CICR (Committees for Inter Community Relations). CED had a role to help in creation of CICR in the municipalities of Tearce, Jegunovce and Tetovo. At the first phase of the project, local coordinators were providing guidelines for more successful formation of CICR in municipalities, as per legal regulations for their later better functioning. It was the period when new municipal councils were formed. The second phase of the project lasted from September to December was checking the functioning of the CICR and providing guidelines for strengthening their capacities. Meetings were held with presidents and members of the CICR, as well as conducted field research among minority communities in the municipalities. In this second phase CED additionally worked in the Skopje municipality of Butel. In the summer of 2014 CED in cooperation with the Youth Alliance from Tetovo started to work on the municipalities budget monitoring project. This project happens on the entire territory of Macedonia. CED and MA have a task to monitor budgetary matters of 9 municipalities located in the Polog planning region. Contacting members of the Municipal Councils, following the adoption of budgets, quarterly reports, budgets rebalances, annual financial statements, are few of the tasks that the regional coordinators have with aim for greater transparency which is guaranteed by legal regulations in Macedonia. This project at the level of entire Macedonia is managed by the Center for Economic Analysis and Forum CSID and is supported by the European Commission through the IPA program.